Pakistani Prime Minister Imran Khan has announced that Asia Bibi, the Christian woman whose death sentence for blasphemy against Islam was overturned, will leave the Muslim nation in two weeks and be reunited with her family. But supporters who followed Bibi’s ordeal for the past nine years should hold their applause, cautions Jihad Watch Director Robert Spencer. “Why is Khan making this announcement now?” he asks. “Why not in two weeks, after she is safely out of the country? Is he giving the furious Muslim mobs who have been baying for her blood and hunting house-to-house for her time to mobilize and renew their efforts to find and murder her? Authorities have been protecting her from the threats of radical Muslims who immediately took to the streets in protest of the October decision. Some searched house-to-house to carry out what they viewed as unfulfilled justice under Islamic law. The news that Bibi will be released in two weeks followed British Foreign Secretary Jeremy Hunt’s statement in the U.K. Parliament earlier this month that the British government was negotiating her freedom, reported The Media Line. Her problems began when, according to her testimony, Muslim co-workers refused to drink water from a cup from which she had taken a sip and demanded she convert to Islam. Her refusal, she said, prompted a mob to later allege she had insulted Muhammad. The White House and the American Center for Law and Justice, which fought for Bibi’s freedom for more than four years, have declined to comment regarding Bibi’s asylum appeal. ACLJ Chief Counsel Jay Sekulow, President Trump’s personal lawyer, was a key advocate for American pastor Andrew Brunson, who was released from a Turkish prison last month. While no one has been executed by the Pakistani government for blasphemy, at least 65 people accused of the “crime” have been murdered by Muslim vigilantes since 1990. 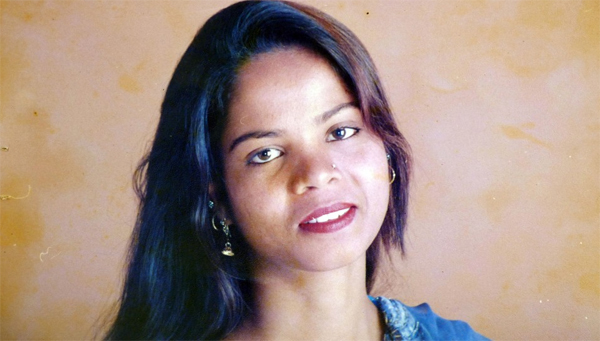 The post Acquitted 'blasphemer' Asia Bibi free in 2 weeks appeared first on WND.